How so “ancient art”? 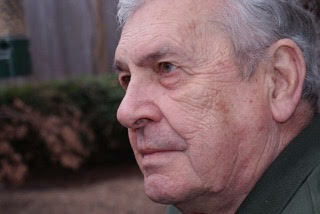 Gallo refers to Aristotle’s classic work, Rhetoric, in which exposition, description, narration, and argumentation are identified — and explained — as the “four levels of discourse.” Each has a primary function: to explainwith information, make vivid with compelling details, tell a story or explain a process, and convince with logic and/or evidence. At least three of them are usually involved in effective communication. Near the end of his latest book, Carmine Gallo asserts that great communicators are made, not born; that neuroscientists have identified two techniques that will help people when the pressure is on: reappraisal and repetition; and that reappraisal simply means reframing the way you you think about yourself and the events in your life. These are key points. Almost all of the information, insights, and counsel in this book can be invaluable when preparing to make a TED talk that — over time — may be seen by millions of people or when preparing to present a proposal for a major project to one’s supervisor. In both situations, “good enough” isn’t because good is the enemy of great. Why settle for less than your very best now, especially when it can drive becoming even better? Sprint — do not jog — to obtain a copy of this book as well as a copy of Carmine Gallo’s previously published classic, The Presentation Secrets of Steve Jobs: How to Be Insanely Great in Front of Any Audience (2009).